The Herbal Aloe Forces is pure raw aloe mixed with 3% of four herbs found in the eight herb Essiac Tea. For centuries, aloe has been known for its internal and external healing properties. For example, it’s been used for many years on burns and has a lot of benefits when used internally. Research on aloe shows it’s available to all cells throughout the body when it’s raw. It will also survive the digestive system and taken whole into the lymph systems. It promotes tissue growth and cleanses and detoxifies your body. The Herbal Aloe Force (which contains the 4 of the 8 herbs from the Essiac Tea) is also very potent. Aloe enhances the breakdown and removal of excess waste, toxins, heavy metals and form build-up from the cells. To recap, aloe helps with digestion, elimination, detoxification, circulation, respiratory, immune system, and externally for your skin with antioxidants. 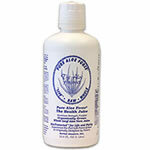 This is one of the only (if not the only) aloe products on the market that is raw. You can read more about the Essiac Tea and the aloe to see which one would be best for you.